A year ago Aug. 8, Michael Brown was shot by a police officer in the St Louis suburb of Ferguson. Not quite a year later, a Texas officer escalated a tiny traffic infraction in the exact same reckless way, culminating in police-on-black violence and then the black person’s death. 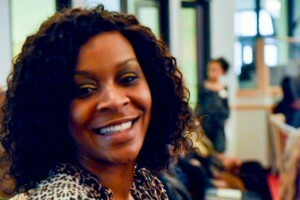 This time it was a woman, Sandra Bland. She was older and supposedly more sophisticated than Michael Brown: a college graduate who had just interviewed for a job at Prarie View A&M University. Education didn’t help her. It didn’t help her to know her rights. When you’re black and accosted by police–you have no rights. She considered herself a civil rights activist, in the Black Lives Matter movement. That may be what actually killed her, who knows? What she’s talking about is the ghastly difference between what “responsible behavior” even is between black people and white people. A white driver would never have been pulled over in the first place. The officer was plainly just seeking an excuse to pull her over. Not signaling a lane change? Really? What was his real reason? But “Don’t be a thug,” people said about Michael Brown. “Don’t give the officer ‘tude,” people say this time. It’s a perfect example of the very different rules white people and black people live under. A classic case of what’s wrong with the “level playing field” fallacy. Sandra Bland, some say, is responsible for their own death. Why? She didn’t obey rules white people ignore with impunity. Then she didn’t “properly” control her frustration while being punished under such unspoken rules. It’s not even a matter of whether she hanged herself–whether her death was out-and-out murder or pure criminality on a more subtle level. There is just SO much wrong with this picture! When the state takes a person into custody–even for a legitimate reason, which this was not–they are responsible for that person’s safety. Officials now tell us, Sandra Bland consumed a “large amount” of marijuana in the hours before her death. As though that somehow makes her death acceptable? Where did the marijuana come from? She was given marijuana while in custody in a Waller County, Texas, jail? Really? Whether it was to immobilize her so she could conveniently be lynched–or some slighly less heinous reason–ARE YOU KIDDING ME? She was given marijuana in a jail? The county authorities say she checked a box on her inlet paperwork, saying she had previously attempted suicide, but elsewhere, indicated “she wasn’t suicidal at present.” ARE YOU KIDDING ME? If a person checks the “ever been suicidal” box on their paperwork, how do large garbage bags get stored in her cell? Even putting the best possible face on this horror–if you treated–or abandoned–a dog the way the police treated, then abandoned Sandra Bland, you’d be charged for animal cruelty. Unfortunately, in too many places, cruelty to black people is still official policy. We need large changes. We’re all part of this. That’s what puts me in Ferguson, Missouri with a few thousand of my closest friends, to oppose police racism. Not really for Michael Brown. Not even for Sandra Bland. But for all of us.